In the 100 Questions (and Answers) series, each unique volume presents and answers 100 commonly asked questions related to a given topic. These books are ideal for anyone learning about the topic for the first time or for anyone who wants a quick reference to remind them of key information within a subject area. 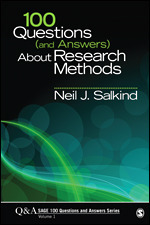 Each book’s quick-scan, question-and-answer format make it ideal as a supplementary text or as a ready reference for both students and researchers working across disciplines in academic or practitioner environments. 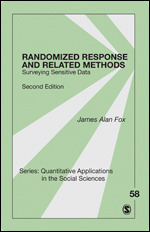 Advanced Quantitative Techniques in the Social Sciences Series is a series of individual original volumes on quantitative research techniques and applications of those techniques in the Social Sciences. The intention is to provide ongoing volumes that reflect the latest quantitative techniques along with updates on early publications in the Series. 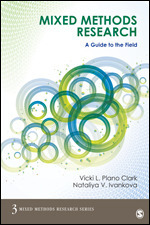 The Mixed Methods Research Series addresses essential aspects of conducting mixed methods research in the social, health, and behavioral sciences with volumes that provide practical guidance for those interested in mixed methods research. SAGE’s Qualitative Research Methods series is designed to teach novice and veteran researchers alike about specific methods of qualitative social inquiry. 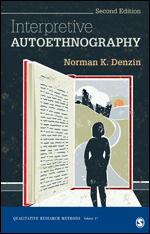 Each brief volume in the series is limited in scope, minimizes the use of jargon, and provides concrete examples to demonstrate applied techniques in qualitative research methods. SAGE’s Quantitative Applications in the Social Sciences (QASS) series has served countless students, instructors, and researchers in learning cutting-edge quantitative techniques. 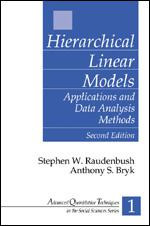 These brief volumes address advanced quantitative topics including Regression, Models, Data Analysis, Structural Equation Modeling, Experimental Design, Factor Analysis, Measurement, ANOVA, Survey Data, and more. Submissions: If you have an idea for a volume on a topic that you feel is missing from the series, please submit a brief outline to Helen Salmon, Acquisitions Editor and Barbara Entwisle. For advice on putting together a prospectus for a new volume, please download our proposal guidelines here. Authors can deliver manuscripts in either Microsoft Word or LaTeX. A template and style guidelines for LaTeX can be found here. 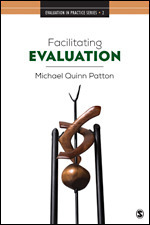 This series of concise, practical books (approximately 200 pages) will offer readers the opportunity to delve into a specific evaluation issue or topic with focus, depth and complexity. • A series editor’s introductory description providing a rationale for why the book is included in the series and that situates the book within the larger series. • A book author introductory note that orients readers to the topic. • An emphasis on practice that specifically examines application in practice and includes examples from practice. • Further reading sources about the issue to provide a broader context for its understanding.